To star in your own body transformation, master the five steps for rapid-fire fat loss. We've all seen hundreds of those 90-day makeovers showing side-by-side pics of an out-of-shape guy who has transformed his physique into that of a rock-hard stud. In every case, the body on the right looks far bigger and better. That's one of the illusions competitive bodybuilders and fitness buffs have known about for decades: the magic of looking bigger by becoming more ripped. It's virtually impossible to get bigger and leaner simultaneously. Most people who attempt both end up accomplishing neither. It makes sense, then, to do what every physique athlete or bodybuilder does pre-contest: drill down to reveal their inner ripped, lean physique. What makes this article different from others, however, is that we're aiming to do it in half the time! That means amplifying some of the major variables, which we discuss below. One final note before we dive in. You need to have some muscle already to reveal said muscle during fat loss. If you embark on a get-ripped plan without any foundation of muscle, you're going to end up looking like a prisoner of war—probably not the look you're after. Most weight-loss plans—at least the ones considered safe and effective—aim to zap body fat at a rate of 0.5-1.0 percent of body weight weekly. Any more than that, and you're probably burning too much lean tissue for energy. With this plan, we're upping that to 1-2 percent weekly, but only for the first six weeks. Let's start with an easy online fitness calculator that builds in a number of personal characteristics (height, weight, age, activity level, gender, etc.). This makes for a more accurate measurement for estimating your daily macros and calories. Just make sure to check "Fat Loss" as your goal. You'll notice the recommendation for macros is about 40 percent of calories from carbs and protein and 20 percent calories from fat. While the calculator's output gives you a starting place for recommended total daily calories and macros in grams, it doesn't account for our accelerated plan. Lop off another 10 percent of the grams for each macro, creating a more severe daily caloric deficit. The amount of protein you consume daily is pretty high as a percentage of total calories for good reason. Protein not only stimulates muscle-protein synthesis but slows tissue breakdown. "Protein's importance isn't limited to those trying to gain size; if you're dieting, protein is an essential ally," says Paul Salter, MS, RD. "Protein slows digestion and triggers the release of appetite-suppressing hormones, which helps defend against hunger and cravings. What's more, consuming too little protein may result in your hard-earned muscle mass being used as energy." To achieve your goal in half the normal time, these macros recommendations are pretty aggressive. Again, this is a six-week strategy. Successful fat-loss programs require running at a substantial daily caloric deficit (usually 300-700 below maintenance levels, and we're increasing that deficit even more). But your body is no dummy: When it senses deprivation or even starvation, it downshifts your metabolism accordingly. Worst case, your body can cling to body fat and use muscle tissue and proteins for energy. By cycling your carbohydrate intake, you can "trick" your body in a way that doesn't cause this shift in metabolism. Cycling simply means consuming higher amounts on some days and smaller amounts on others. The output of carbs from Step 1 revealed your moderate-day amount of carbs. That's going to be cycled with an even lower-carb day by splicing your carb grams in half. This low-carb day is pretty stingy; you'll have to watch every sugar and starch you eat. I recommend limiting your carbs to your pre and post-workout meals, and eliminating starchy carbs and grains on these low-carb days. Choose fibrous carbs instead. "In its basic form, carb cycling involves manipulating the amount of carbs you consume each day in relation to your training," says Salter. "For example, eat a higher amount on training days, especially when training larger muscle groups like legs and back, and fewer when training smaller body parts or on nontraining days. This will help to further ensure you're fueled appropriately for your training." With that in mind, coordinate your training around two days of moderate carbs followed by three days of low carbs, a pattern you can repeat over the course of the entire 42 days. A typical mass-gaining workout isn't ideal for this plan. For one, you're not going to make it through a lengthy workout on so few carbs. You won't be building muscle per se, because you're not eating a sur of calories. At least early in your workout, your approach will be to provide the training stimulus to maintain what you've already achieved. By now, you should know high-repetition sets won't do the trick. Choose multijoint exercises over single-joint ones. Because you recruit a greater number of muscle groups when doing multijoint exercises and can push more weight, they'll do a better job boosting your metabolism. Plus, they better trigger the release of anabolic hormones that can enhance both muscle growth and fat burning. Multijoint exercises include squats, bench presses, rows, overhead presses, pull-downs, and the like. Single-joint exercises include flyes, lateral raises, curls, leg extensions, leg curls, push-downs, and similar movements in which movement takes place at only one joint. Keep your loads moderately heavy. In the beginning of your body-part workout, take advantage of your higher muscle glycogen stores by pushing those moderately heavy loads for fewer reps (sets of 6-8 reps). As you become fatigued, you can add in higher-rep training. Limit the length of your workouts. Catabolic hormones that break down muscle tissue rise as your workouts lengthen on a calorie-reduced diet. Instead of increasing volume by adding more sets, try to do more work in less time. Techniques such as rest-pause, dropsets, supersets, cluster sets, and density training are all effective at making better use of your downtime between sets. You'll not only improve your conditioning and total calories burned, you'll elevate your metabolism so that you continue to burn more calories for as long as 24 hours post-workout. Shorten your rest periods. Get more work done in less time by trimming 15-30 seconds off your between-set rest times, meaning you'll rest 45-75 seconds between sets. Save all those intensity boosters for the latter two-thirds of your training session. That way, you can still get a substantial size and strength stimulus early on. A well-thought-out plan beforehand is essential for maximizing your results. For a sample workout incorporating all these, see the workout at the end. The gulf between your calories consumed versus burned must be substantial for you to shed body fat this aggressively. One way to widen the gap is by doing more cardio. And not just any old cardio, but high-intensity interval training (HIIT). HIIT entails cycling short-duration all-out effort with very low-intensity recovery intervals. After warming up, follow a work:recovery ratio of 1:3. Strive over several weeks to improve to a point at which you reach 1:1, such as doing 30 seconds of all-out work with 30 seconds of easy recovery to catch your breath. These sessions can last as long as 20-25 minutes. HIIT has some advantages over cardio performed at a steady pace. Most people see greater improvements in body composition, cardiorespiratory fitness, and exercise performance. You'll get that post-workout calorie bump, and the anaerobic sessions will also stimulate the fast-twitch fibers to grow, a benefit you don't get with steady-state cardio. You can do HIIT indoors with a stair machine, elliptical trainer, treadmill, battle ropes—any equipment where you can easily change up the intensity and engage larger muscle groups such as legs. Outdoors, you can run sprints, go up and down bleachers or stairs, or try some other kind of activity that easily allows you to adjust speed for short bursts of time. Because HIIT training is highly intense, like your weight training, do just two sessions per week. If you want to include more cardio, make those steady-state sessions. Highly charged workouts and more intense cardio on reduced calories can leave you hungry, moody, and tired. And yet, you need to do it all over again tomorrow. Post-workout, consume 25-30 grams of whey protein along with an equal amount (or more) of carbohydrate. This will aid processes related to protein synthesis and restock spent glycogen. That's one reason you should consume most of your carbs around your workouts. Another smart addition is beta-alanine, which allows you to work at higher intensities for longer periods of time. Sipping a BCAA drink can also help spare muscle protein, which becomes even more critical during a calorie-restricted phase. You can drink BCAAs all day long. Rest takes on even greater importance. Lack of sleep can impair muscle recovery, because it can increase catabolic hormones (which increases muscle breakdown) while decreasing testosterone (which reduces levels of protein synthesis). Sleep deprivation can also dampen the release of insulin-like growth factor (IGF-1), a hormone with anabolic properties. Recharging not only helps restore your physical batteries, but refreshes your mind as well, so you're ready to give maximum effort one day after another. That's the plan; the key to its success is consistency. To achieve your goal in half the time requires diligently tracking your body weight, diet, training, and cardio and making the necessary adjustments to ensure you're moving in the right direction. The workouts here are samples based on a four-on/one-off split. That was chosen so the most challenging workouts fall on the moderate-carb days. Carbs are cycled using the same five-day cycle: two days of moderate carbs and three days of low carbs. Work don't include warm-up sets. Do as many as you need, but never take warm-up sets to muscle failure. Choose a weight that leads to muscle failure by the target rep listed. Since your between-set rest periods with most exercises are limited to 45-75 seconds, you may have to reduce your loads based on fatigue and recovery. These workouts are geared toward intermediate-to-advanced individuals. Adjust them based on your personal circumstances. The volume and intensity can be reduced depending on your ability. While these workouts will improve your conditioning, that isn't your primary goal: It's to get leaner. Work include dropsets, supersets, density training, and other advanced techniques. Add four cardio workouts (two HIIT, two steady-state) at the ends of your workouts, or do them on your days off or in the morning. The cardio workouts aren't listed here, but be sure to include them in a way that best fits your schedule. Just don't do HIIT immediately before or after a leg workout. Choose any straight-legged version: donkey, standing, machine, etc. 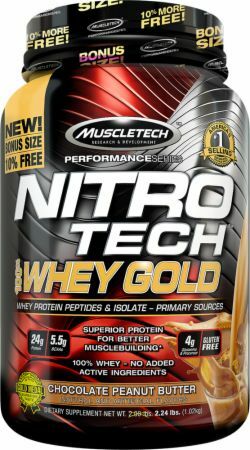 Shop MuscleTech Products In Our Store! Bompa, T., & Buzzichelli, C. (2015). , 3E. Human Kinetics., p. 74. Tiidus, P. M. (2015). Current Reviews in Musculoskeletal Medicine, 8(2), 162-167. Pearcey, G. E., Bradbury-Squires, D. J., Kawamoto, J. E., Drinkwater, E. J., Behm, D. G., & Button, D. C. (2015). Journal of Athletic Training, 50(1), 5-13. Costill, D. L., Dalsky, G. P., & Fink, W. J. (1977). Medicine and Science in Sports, 10(3), 155-158. Arciero, P. J., Bougopoulos, C. L., Nindl, B. C., & Benowitz, N. L. (2000). Metabolism: Clinical and Experimental, 49(1), 101-107. Hill, A. M., Buckley, J. D., Murphy, K. J., & Howe, P. R. C. (2007). The American Journal of Clinical Nutrition, 85(5), 1267-1274. Noreen, E. E., Sass, M. J., Crowe, M. L., Pabon, V. A., Brandauer, J., & Averill, L. K. (2010). Journal of the International Society of Sports Nutrition, 7(1), 31. Bill Geiger, MA, has served as a senior content editor for Jyoto.info and group editorial director with MuscleMag and Reps magazines.